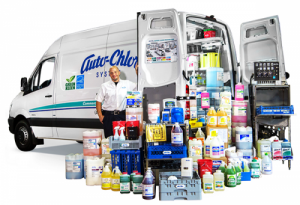 Auto-Chlor System, Las Vegas is a family owned and operated business. We provide cleaning supplies and dishwashing equipment to institutional kitchens and laundry & housekeeping products to healthcare and lodging operations in the greater Las Vegas, Nevada and St. George, Utah area. Our route system, business model and commitment to quality customer service differentiates us in the marketplace. We have many long-term employees. We offer competitive wages, a quality benefit package, including paid holidays and vacation days. If you are interested in learning more about our fast growing business please complete the following information.